Since the club had ownership of the trophy the secretary was instructed to write to Pat Case “in the strongest terms”. This was to no avail as the minutes of the committee meeting of 3rd January 1959 note that Pat Case had not changed his mind and the trophy was returned. The club response was that they would replace the trophy and that its replacement would be called the Club Porbeagle Trophy. 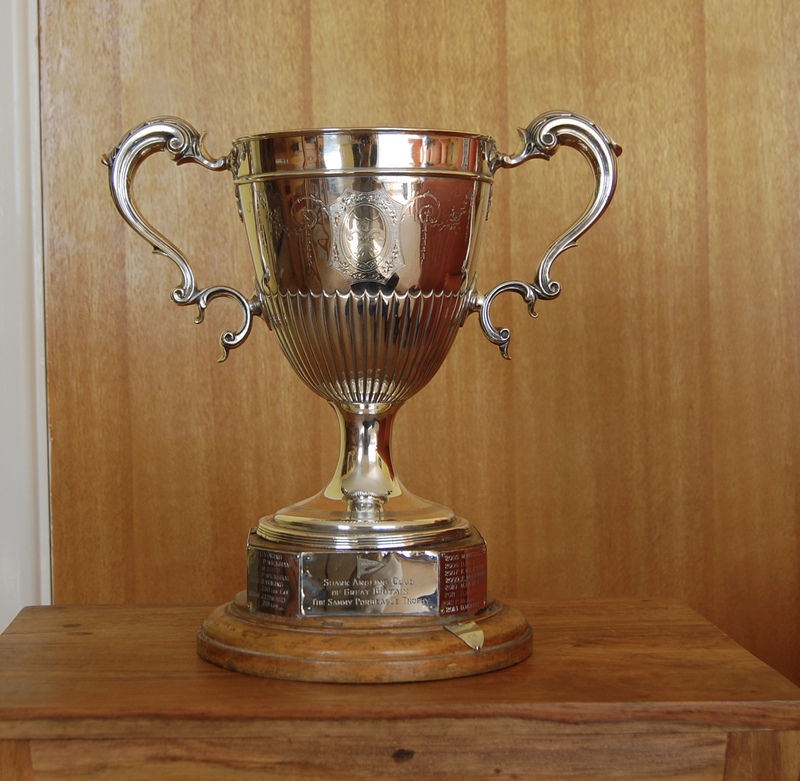 At the committee meeting on the 25th April 1959, Mr F A Mitchell-Hedges, who was the club President at the time, donated a trophy to replace the one removed by Pat Case. This was to be called the Sammy Porbeagle Trophy. The reference to Sammy was to his adopted daughter, to whom he had given that nickname. 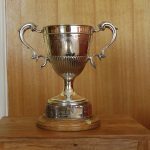 The Pat Case trophy was the original Best Porbeagle Trophy and was donated to the club by Pat Case and accepted at a committee meeting on the 9th January 1954. The minutes of the committee meeting on the 8th November 1958 record Pat Case’s decision to withdraw the trophy as, “it had had no winner since it was accepted by the club“. This is strange as the trophy has winners engraved on it for each year since it was donated. These are shown in the table below. The 1955 trophy engraving records Mrs H Eathorne’s fish as a 352lbs Mako although the relevant newsletter lists the fish as a Porbeagle. There is no record of Mrs Eathorne catching a Mako of notable size during that season so the assumption is that this was either an engraving error or that an incorrect instruction was given to the engraver. The other strange trophy engraving is the 1967 winner which is shown as a 9lbs 8oz Porbeagle caught by Mrs D Case. The relevant newsletter does not list any Porbeagles in the notable fish list which suggests that any Porbeagles caught during that season were under 100lbs. If the engraving is correct then the assumption must be that the best, and possible the only, Porbeagle caught in 1956 was the very small one by Mrs Case. The other piece of information we have is the 1967 engraving on the Sammy Porbeagle trophy which records the weight of the fish as 91lbs which is more likely to be correct. Although the minutes state that the reason Pat Case withdrew the trophy was. 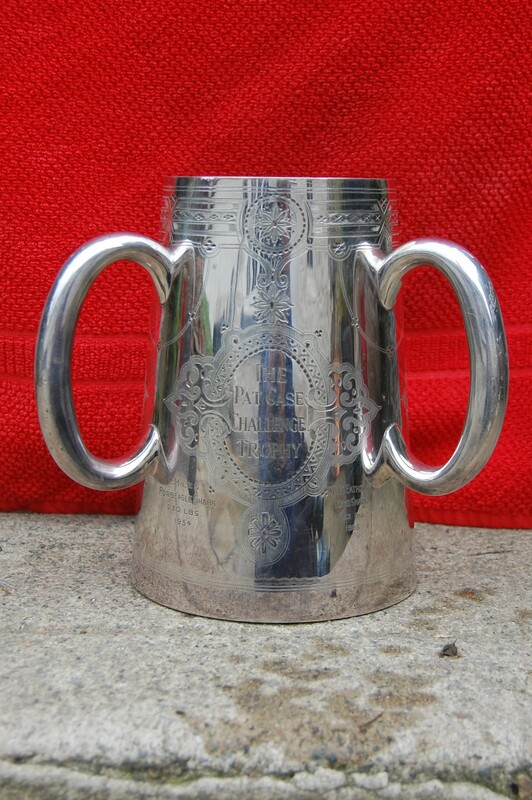 that it had no winner since it was accepted by the club, the trophy engravings dispute that. What is clear though, is that the club and/or the engraver managed to get two of the four years it was in the clubs ownership significantly wrong. 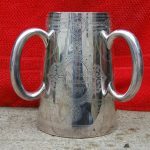 The trophy is solid silver with three handles so its quite unique and undoubtedly expensive. Its easy to imagine Pat’s disappointment when he realised his trophy had been incorrectly engraved and we are left to wonder if this was part of the reason, or indeed the reason, he withdrew it from club ownership.